Home Mobile Tips iPhone Tips iPhone X Problems: Read this before buying new iPhone! iPhone X phone was on the market the last weeks, and now some users are talking about some iPhone X problems. However, Apple is doing its best to solve them; here we bring you the iPhone X problems you should take care about. One of the main novelties of the iPhone X is that it eliminated the start button that was at the bottom of the phone. This is to give greater prominence to the OLED screen, which is one of the best in the history of smart phones. But happiness is not complete, neither the iPhone X screen. This has a small bar, where the facial recognition hardware is installed, on the image on the phone. And it is a nuisance, because when browsing the internet, the phone software imposes some white bars that hide parts of the pages. Other users have complained that the facial identification hardware also causes a nuisance when you slide your finger on the screen. It did not happen with the other previous models. The OLED screen of the new phone is one of the best. However, several users noticed that when they looked at the screen from one side they totally lost the quality of their colors and their sharpness. Apple itself admitted that there could be some drawbacks depending on the angle of vision. “If you look at an OLED screen outside the front angle, maybe you could see some kind of change in color and hue,” the manufacturer wrote in a statement. Although it justified it in the use of the same technology of the screen: “This is characteristic of an OLED screen and it is a habitual behavior, although we are working to achieve changes”. The new iPhone costs US $ 1,000, which places it as the most expensive Apple phone. And at the same time, paradoxically, it is also the most fragile. The company, which is a provider of phone warranties, conducted a series of tests. For example, drop the new cell from a height of 1.8 meters at different angles. However, the tests of SquareTrade indicated that the falls of the artifact produced irreparable damage. Which, in other devices, did not occur. When it comes to using it, the iPhone X is an experience, according to several users, “different and novel”. 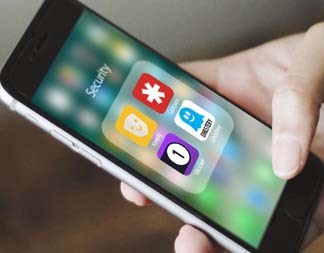 However, one of the problems according to its new users, especially in the United States, is about software (iOS 11.1). “Hey, @Apple, I’m not sure if you know, but the iPhone X arrived today. Maybe they could fix the problem with the activation server? Now, please,” wrote a non-conforming user on his Twitter account Archibald Smart. Complaints like this multiplied during the weekend. After making a revision, the main providers of cellular telephony in the US, such as Verizon and ATT. Pointed out that the failure was present mostly in the phones that had been purchased directly from an Apple store. Apparently, iPhone X problems are just beginning. So the enterprise will need to act fast to bring a solution to customers. Anyway, iPhone X is a good phone which is being trend on our days, and it will be for more time. Next article8 Black Hat SEO techniques used for hackers to violate your security!